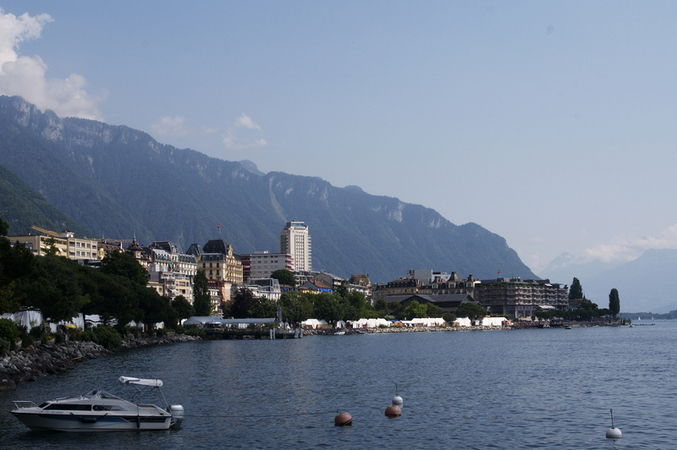 The first three days of the Montreux Jazz Festival 2013 from the view of the "Programme Gratuit". The festival is much more than a jazz festival. One can hear Jazz of course, but also Rock, Pop and Folk. There are many big stars of all music genres in very expensive concerts, but in many small venues wonderful music can be heard for free. My pictures tell the story of this aspect of the festival, about young musicians and the beautiful atmosphere of the festival in that nice town beside the Léman with its magnificent view over the mountains on the other shore.